Manitoba enjoyed Canada's best summer for 2017! (It's confirmed here) I can certainly attest to that, as we made a point to be out camping, day tripping and exploring. So much sun, warmth and no mosquitos! I've totally neglected my garden, and nothing got done, but damn it, we had a summer to remember. Instead of cramming all my photos into one post, I'm going to break it down into short posts for people who are looking to visit some of southern Manitoba's hotspots (and some Northwestern Ontario ones too). First up, the sweet little village at the end of highway 44, on the shores of Lake Winnipeg, Victoria Beach. Lake Winnipeg is huge, Canada's 6th largest lake in fact. This gives us 'peggers plenty of beach options when the hot weather rolls around. We typically spend our time at Winnipeg Beach or Grand Beach, which are on opposite sides of the lake. The Eastern shore is well known for it's super soft sylica sand. Unfortunately, this beautiful lake, with ocean like horizons, is suffering from a dangerous rise in phosphorus levels, resulting in algae growth. The day we visited was no exception, although levels were safe (always check, you don't want to travel all the way to the beach and be unable to swim). We set up at Arthur Beach, which was clearer that day. Other options are accessible from hwy 44, including sand cliffs which lead down to the water (but are eroding, so be careful). If you bring a bike with you, you might be able to visit all the beaches and pick the best one for the day. If the water is low enough, you might even be able to walk on over on sandbars to Elk Island Provincial Park and spend the day on it's island shore. The village itself is special in that it is a walking and biking community. There are no motor vehicles allowed past the beach gates, where cottagers keep their cars parked in a lot and use bikes and carts to transfer their supplies. There is no new construction, allowing for a look back at a simpler time in a century old beach town. My favourite building located in the quaint town square is the Moonlight Inn. 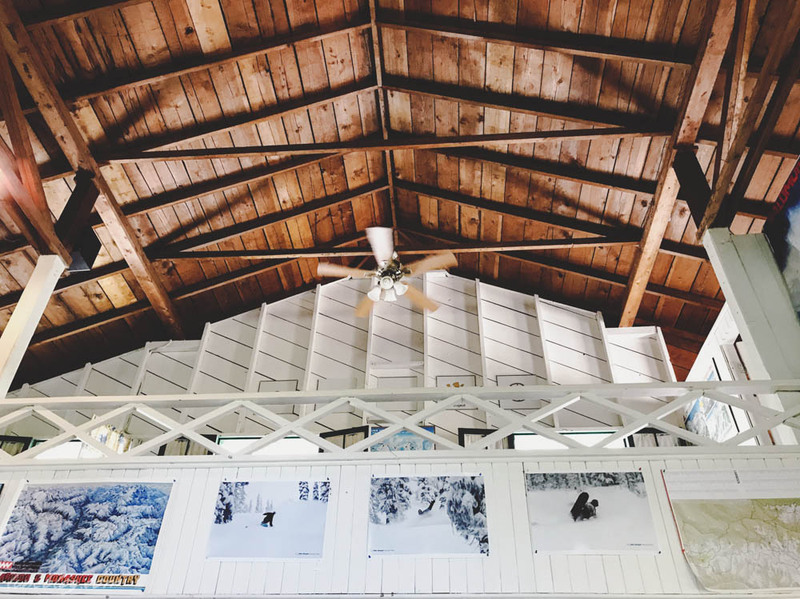 It's a two story chalet style building that houses a cute restaurant (ice cream counter included). Next door you'll find a funny little arcade in a log building. There is also a popular bakery, general store and tiny library. Near the beach a clubhouse holds functions like teen dances and movie nights. It's really quite adorable, which I guess is why we have quite a few friends who like to rent cottages here for their summer vacations. 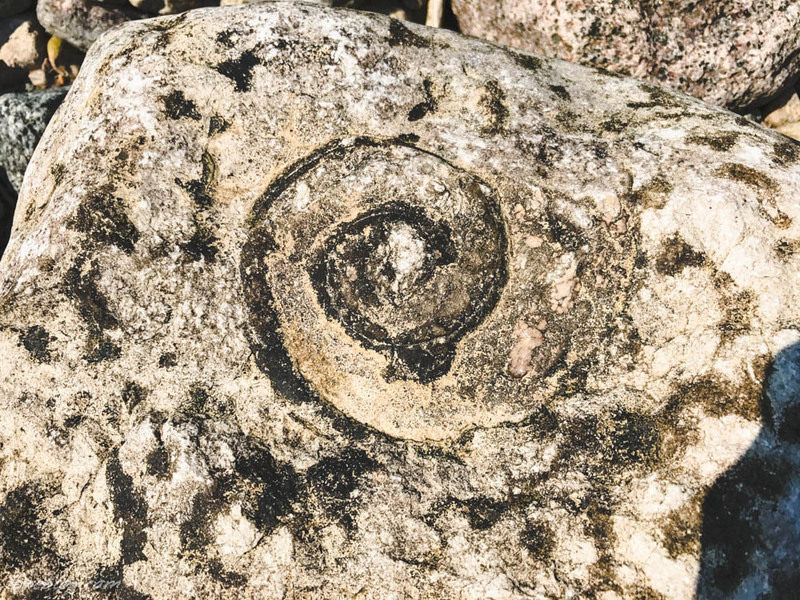 Check out this amazing cephalopod fossil we found while walking along a section of rocky shoreline. It was as big as a saucer. We had a fun day at the beach here, despite the smelly algae. 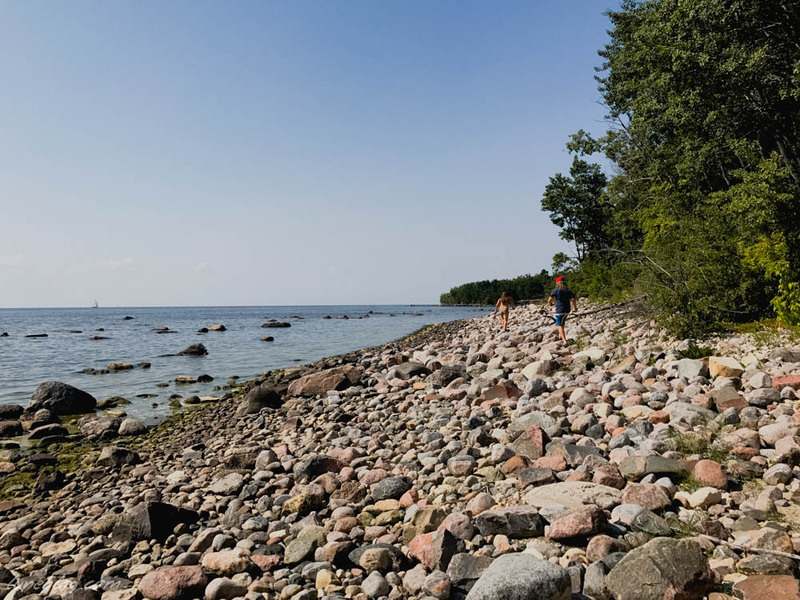 Let's be honest, no one likes water pollution and it is a problem in Lake Winnipeg, as is the same case in most of our precious freshwater lakes in North America. Despite this very serious issue, I would still suggest visiting beautiful Victoria Beach to enjoy the views, sweet cottages and village, and to find a spot to enjoy a warm wonderful Manitoba summer. 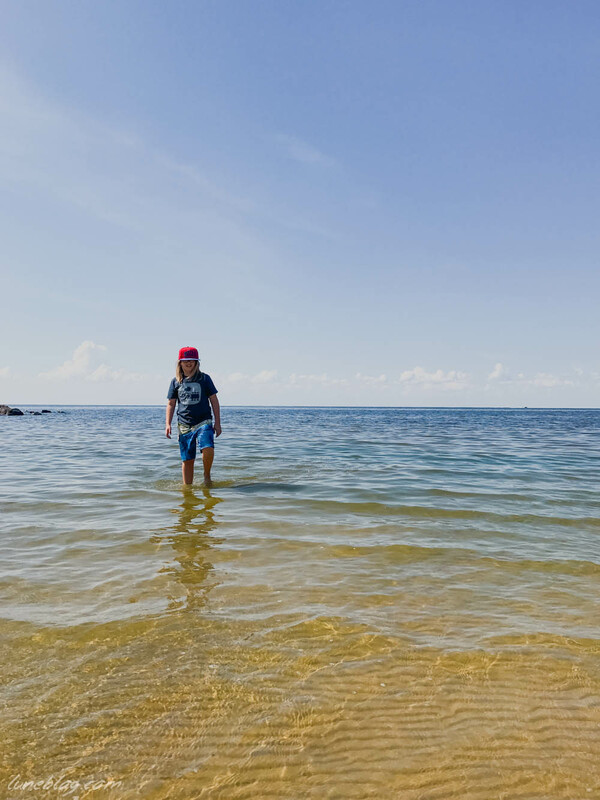 Swim Guide : A resource and app for beach water quality and conditions.